Sub-Zero Group, Inc. leased the reaming space at Prairie Business Park III bringing their total suite to 275,275 SF. IPIL is pleased to announce the sale of Prairie Business Park I and Prairie Business Park II ! IPIL is pleased to announce the sale of Grove I and Grove III ! 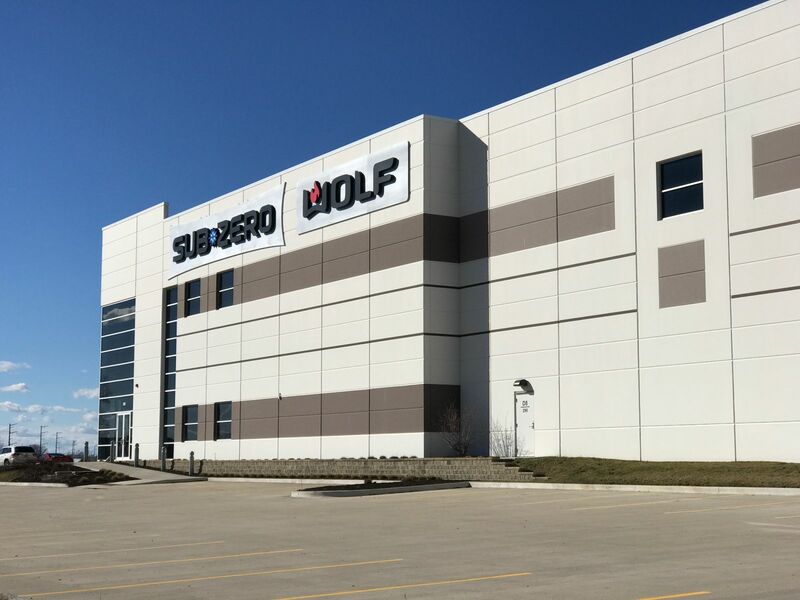 The 230,421 SF Sub-Zero Group Inc. tenant buildout at Prairie Business Park III, located at 290 Burnet Drive, is ahead of schedule and nearing completion! WESCO Distribution, Inc. signed a 67,000 square-foot long-term lease at Prairie Business Park II, a 203,000 square-foot property located at 41-59 Prairie Parkway. WESCO is a Fortune 500 leader in industrial supply with an extensive offering of electrical, data communications, general maintenance, repair, and operating (MRO) and electrical OEM products. WESCO was represented by Grant Glattly of Jones Lang LaSalle. IPIL is pleased to announce the sale of Huntley Regency, a five-building 43,350 SF retail center located on Highway 47 in Huntley, IL, that included Starbucks, ALDI, Hollywood Nails, Rookie’s All American Pub & Grill, Little Caesars, Jimmy John’s, Brunch Café, Sport Clips, Sleepy’s, and Athletico! Just completed and in occupancy, Sleepy’s and Athletico at Lot 6A Huntley, IL. PBP III, a 276,000 sf 32’ clear industrial building, currently available for occupancy, building shell and exterior sitework completed June 2015. Unobstructed, direct views from I-90. PBP IV, a 280,000 sf 32’ clear industrial building, scheduled for fall 2015 ground-breaking. Building 6A shell watertight with temporary occupancy. Deliverable for occupancy subject to tenant finishes May 2015. Join Sleepy’s and Athletico on Route 47 and enjoy great visibility! Building 3 under roof and ready for tenant interior improvements. Exterior finishes complete mid-May 2015. 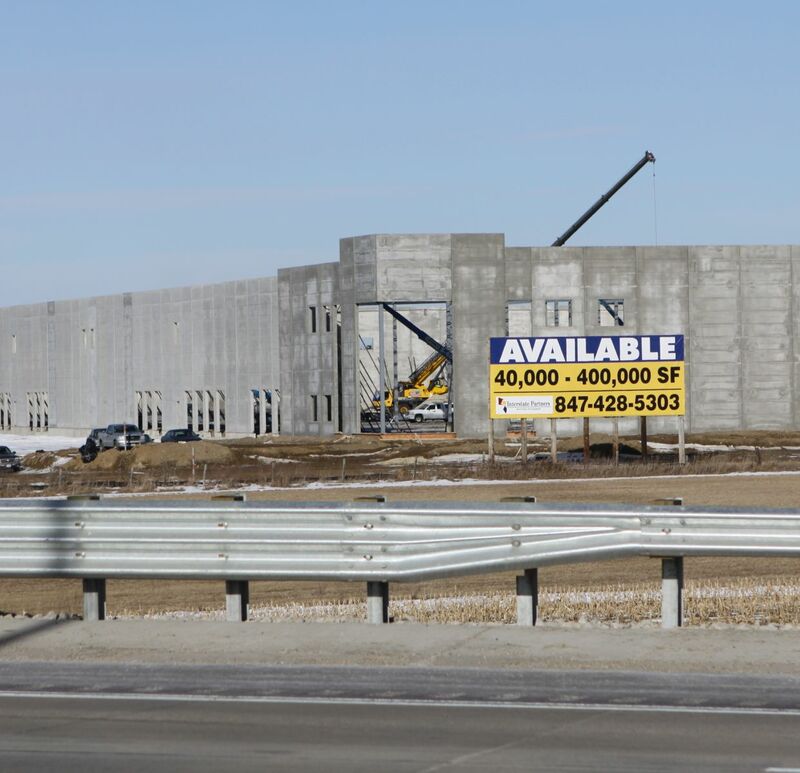 Interstate Partners is proud to welcome Sleepy’s as our newest tenant at Building 6A on Highway 47 in Huntley, IL! We have a 1,483 sf south endcap available for lease. The building will be delivered for occupancy to Sleepy's and Athletico April 2015. PBP III is currently under construction. This building features superior visibility from Interstate 90! Construction has commenced for Lot 6A with a ground breaking today! IPIL announces Elgin Recycling as the third tenant in Prairie Business Park I! The began moving into their new space on December 1st. Check out the link below for more information on Elgin Recycling and Prairie Business Park! Hollywood Nails officially opened on October 3rd! Brunch Café officially opened on October 7th! Aldi had their Grand Opening on October 16th! The turnout was outstanding and the town is very excited for their new grocery store. 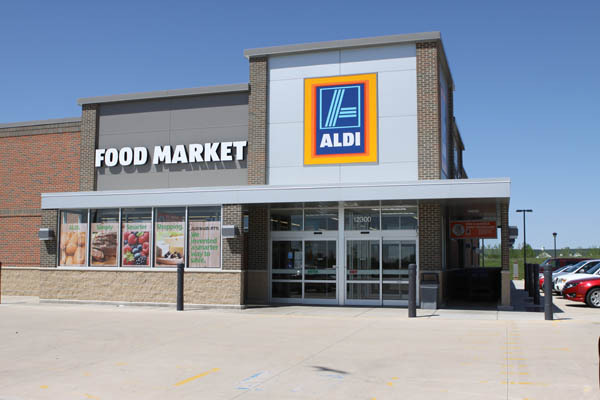 Aldi has announced a Grand Opening date for October 16th! Interstate Partners of Illinois (IPIL) delivers SportClips premises Thursday, August 7! Brunch Café opening is scheduled for early September. Completion of lease with Hollywood Nails & Spa for 1,850 SF! Construction commences with anticipation of opening in October. 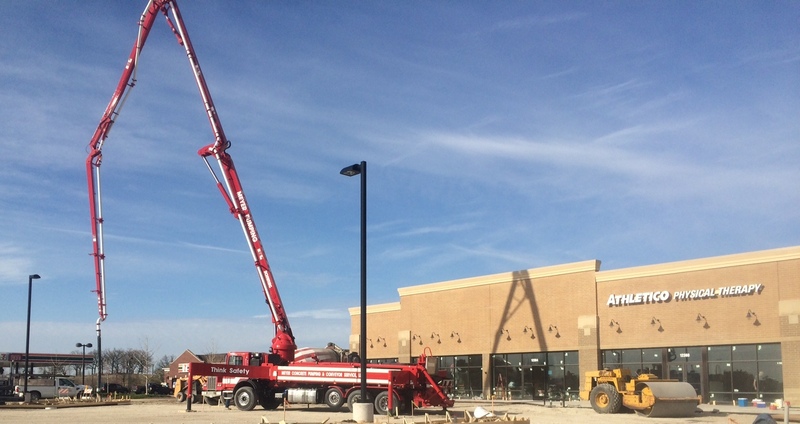 IPIL announces Athletico as the tenant for Lot 6A, the next retail building at Huntley Regency! Early fall ground breaking with spaces available for occupancy beginning of 2015. The building is approximately 8,000 SF. 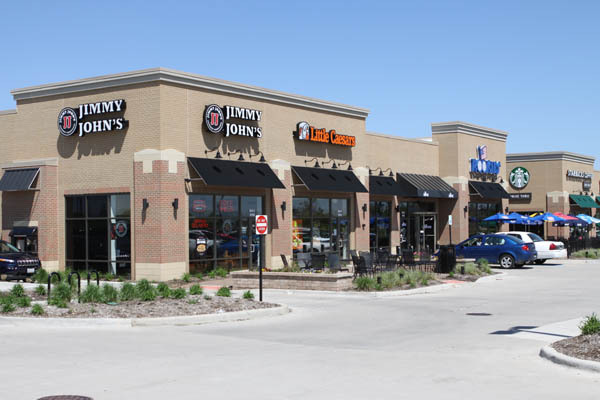 IPIL is pleased to announce that leases have been renewed for both Jimmy John’s and Rookies at Lot 11A at The Grove in Elgin, IL. 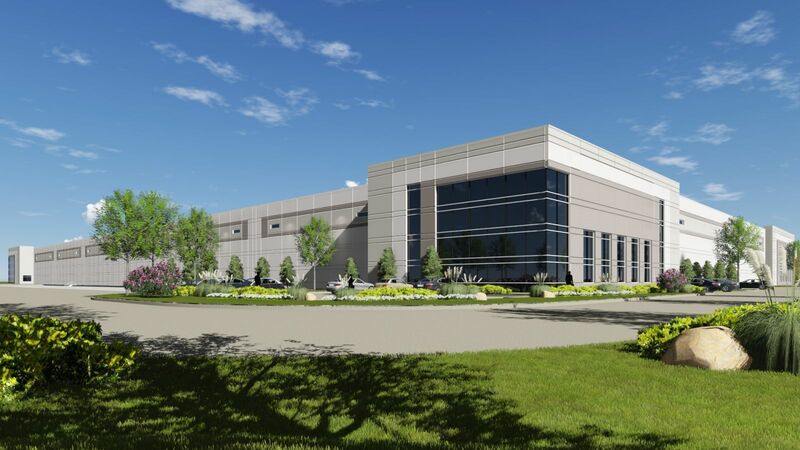 IPIL has teamed up with David Bercu, Jonathan Kohn, and John D’Orazio of Colliers International to market Prairie Business Park I, II, and III. For leasing inquiries, contact any member of this Colliers team at (847) 698-8444. Plans are complete for Prairie Business Park III, and the Village of Gilberts is in the process of approving the construction of 276,000SF. Preliminary grading has commenced. Finishing touches are being completed on the retail land (accommodates restaurants, retail, office, and guest convenience users) for Prairie Business Park. IPIL welcomes Lisa Rubino to their development team. Lisa assists in the industrial and retail transactions including lease documentation construction, and tenant matters post space acceptance and occupancy. We recently completed construction of Ridgeview Business Center VI, a 78,000 sq. ft. manufacturing facility that will serve as the headquarters for Federal Manufacturing.